Spirituality, Dreams and Prophecy: The Shepherd of Hermas and Swedenborg: Fictional Parable or Vision? The Shepherd of Hermas and Swedenborg: Fictional Parable or Vision? The Shepherd of Hermas is an early Christian work of the 1st and 2nd centuries, containing a series of visions and parables that a former Roman slave receives in dialogues with angels. It was quoted as scripture by the early church father Irenaeus, and it found its way into one of the earliest complete Bibles in existence, the Codex Sinaiticus. The church father Eusebius stated it was still read in the churches in the fourth century. The work has puzzled scholars: how could such a simplistic fictional parable find its way into the Bible and get quoted as scripture? The work caught my attention because one of the visions describes a Christology that is unlike the typical trinitarian doctrine of the post-Nicene era, and is similar to the doctrine of the Divine Human of the New Church. I covered this in detail in The Ancient Christology of the Shepherd of Hermas. In parable it describes the Divine itself, the pre-existent Divine Human in heaven, and then Jesus as a man whose human form gets transformed to become one with the Divine. The work was sent to Pope Clement of the Roman church, and from there it spread across to the Christian churches within the Roman Empire. Would a work of fiction be treated in such a manner? Are we to suppose that Hermas in relating his visions intended no more than to present edifying lessons in an allegorical form, and that it was merely as an instructive fiction that the book was regarded when it was introduced into public reading in the church? Donaldson says: "If the book be not inspired, then either the writer fancied he had seen these visions, or tried to make other people fancy this, or he clothed the work in a fictitious form designedly and undisguisedly. If he did the first, he must have been silly. If he did the second he must have been an impostor." But as he believes the author to have been "an honest upright, and thoughtful man," he concludes that he did the third, "as multitudes of others have done after him, with John Bunyan at their head." ...But we ourselves feel bound to reject this as altogether mistaken criticism, and as an application to the 2nd cent. of the standards of today. To us it seems plain that, whatever the author intended, the first readers of Hermas did not receive the book as mere allegorical fiction. So let's take a deeper dive into this work. For those who wish to read it, there is a critical text located here: Hermas Critical Text. There are some older translations here: Early Christian Writings. As I was reviewing the Shepherd of Hermas, to determine if its teachings were valid or not, I began to note several problems in the work. The books is divided into 5 visions, 12 commandments, and 10 parables. As I saw the problems I was about to toss out the work as one of fiction, but then I saw a pattern: all the internal problems with the Shepherd of Hermas are found only in the last 3 parables at the end of the work. It then became apparent to me: the last 3 sections of the Shepherd of Hermas were added later by a clever forger. So I decided to dig further - did any scholars on the Shepherd of Hermas reach the same conclusion? The date and authorship is disputed among them, and the matter is by no means settled. One scholar, Hilgenfeld, expressed the opinion that the last 3 parables were by a later author, who was the final editor of the work. The original work was probably finished in the late 1st century A.D. under Pope Clement, and the last 3 parables were added by another author in the middle of the 2nd century A.D. This is why there are conflicting opinions on the date of authorship. 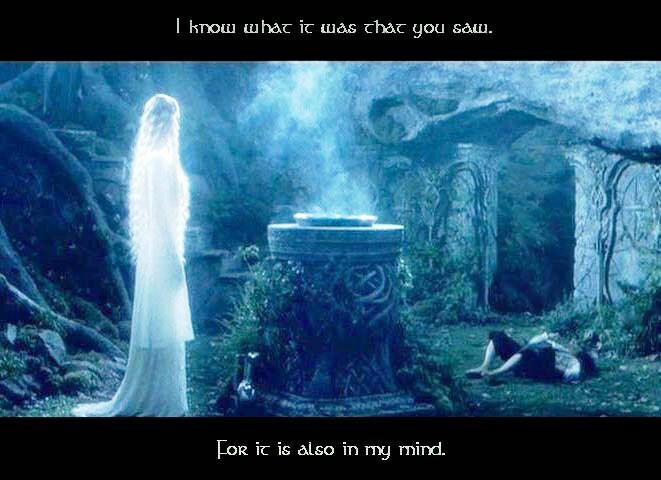 The ninth parable is an obvious repeat of the original vision of the tower of the third vision. In the ninth parable Hermas is strangely transported from Rome into Arcadia of Greece. One scholar who analyzed it determined that the descriptions were probably borrowed from the Greek author Pausanius (see Hermas in Arcadia and Other Essays, 1896). But there are deeper problems. In the eighth parable, the archangel Michael is elevated so that it is this angel who inspires the "law into the hearts of them that believe" - and this is something that should be attributed to the Divine, not an angel. From the visions of Swedenborg it is known one characteristic of angels is that they never claim anything as their own, but attribute everything to the Divine, and they themselves are but recipients. The ninth describes twelve virgin angels, and then states that the Son of God "bears the name of the virgins." This is false. 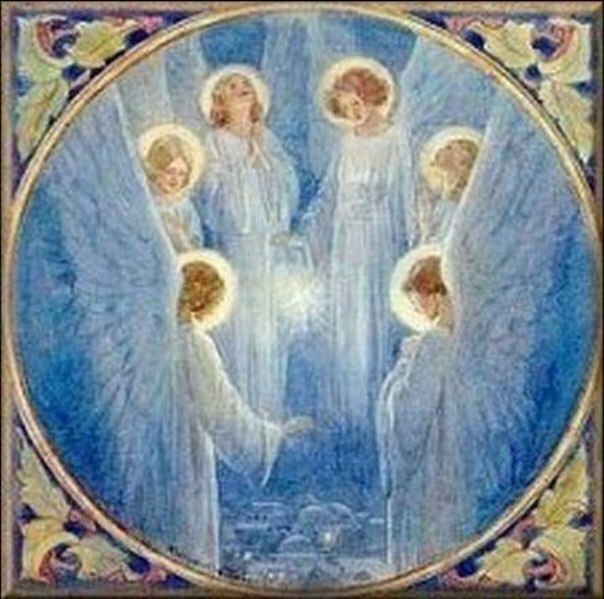 It is the other way around: angels are recipients of the Divine, the Divine is not a recipient of properties of angels. In the original Shepherd of Hermas, Hermas is married with children, and in the very first vision is told to guard his thoughts against sexual immorality and adultery. The warning is very strict. And what happens in the ninth parable? Hermas is now running around and frolicking with these 12 virgin angels, who kiss him on the cheek. Moreover these 12 virgin angels are described as "holy spirits." So, what was the motive of the later forgery to the Shepherd of Hermas? In the first four visions Hermas encounters a female angel, whom he mistakes for the oracle of the Sibyl. 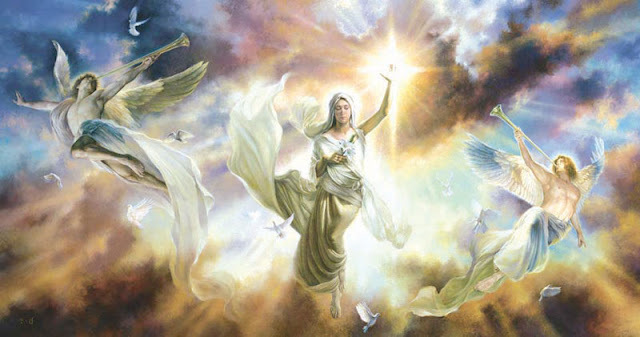 It is explained that this female angel represents the church. In the ninth parable, it is explained that the female angel really was not a woman, but rather the Son of God. This is an obvious gloss. Whoever added this forged section, had a problem with female teachers in the church. This actually was an issue of the second century church, and it was suppressed by the male majority. There was one other other motive of the forgery which is more subtle: it is to suppress the original Christology of the Shepherd of Hermas. Whereas the original Hermas is not theologically minded, the forger has some theological ideas and wants to "correct" some of the things that Hermas wrote. One thing that is obvious is that there is a preponderance of the phrase "Son of God" in this forged section which is absent in the earlier Hermas. There is one statement that looks late, where it says that the Son of God was ""born before all His creation" which sounds like a post-Nicene statement (see The Nicene Creed: a distorted version of the Apostle's Creed and The False Belief of a Trinity of three beings: TRITHEISM). The forger thus saw the original Christology of Hermas as problematic. Hermas by this time had become popular in the Christian churches - they could not withdraw it, they could not change it, so the best option they thought of was to add this later section. So those scholars who hold that Hermas was written as a fiction are partly correct. More correctly, the latter portion was forged in order to suppress the early Christological teachings of Hermas. "I fell into a trance as I walked. And an unseen-force seized me and carried me through a pathless region where no man could make his way, because it was very steep and eroded into ridges by the running waters." "There are two kinds of visions that are not of the ordinary kind, into which I have been let only that I might know their nature, and what is meant by its being said in the Word that men were withdrawn from the body, and that they were carried by the spirit into another place. "Now in a night-vision, I beheld the old woman speaking to me, “Every question requires humility of spirit. Therefore, fast, and you will receive from the Lord what you ask.”"
This reminds me of the visions of Sarah Binayamo Boyanga, who was also commanded to fast in order to receive visions of heaven and hell (see A Divine Revelation from Africa, concerning Heaven and Hell). "As I was praising and giving thanks to him, an echo, as it were, of my voice answered me, “Do not be double-minded, Hermas.”"
This experience is well known among mystics of the Catholic Church. Swedenborg states that in many cases the early prophets wrote down portions of the Bible from hearing a voice, called the "word of the Lord." In the visions of Hermas, he has extended dialogues with angels, who present things to his vision in order to present a point. To the modern mind which does not believe in visions, this in itself is "proof" enough that this is fictional and it is the safer view to take if one has a scholarly reputation to protect. Although most would dismiss such an experience as impossible, there is a modern parallel in the waking visions of Emanuel Swedenborg in the 18th century. Most of his works are purely theological, but his last work Angelic Wisdom concerning Marriage Love. It is part of a larger work containing the published works of Swedenborg, The Divine Revelation of the New Jerusalem. As I was eager to see more, I was overjoyed at the prospect of seeing visions. The only question on translation is that of the Greek word episteme, from which we get epistemology. The meaning of the word means different things to different Greek others, and for a convuluted analysis see Stanford Encyclopedia of Philosophy - Episteme and Techne. In Stoic philosophy, it means what is true and certain obtained through reason - see Stoicism - Epistemology. In Hermas, it seems to be something different. One might simply translate it as "knowledge." Roberts and Donaldson (1886) translated it as "intelligence" which I believe is correct from the context, as I will explain below. Another mistranslation is corrected, "innocence" is more accurately rendered as "guilelessness" or "without guile." 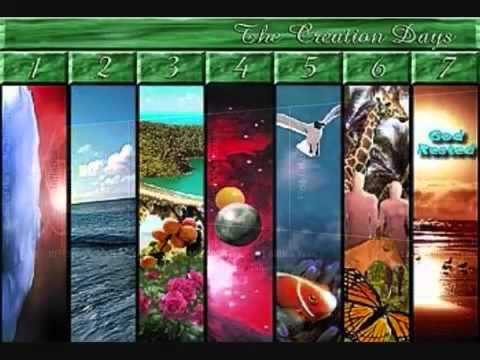 In Heavenly Arcana, Swedenborg from his waking visions describes how the seven days of creation are symbolic of seven stages of spiritual development. It does not concern the creation of the world, as Creationists believe, but rather describes universal stages of spiritual development to create a new spiritual person (see Seven Stages of Spiritual Development for a brief overview). In the Shepherd of Hermas - the seven virtues of the seven female angels closely correspond to the spiritual symbolism of the seven days of creation in the book of Genesis. Not only do they correspond, but the sequence of virtues, where one virtues precedes the following, is very similar to the seven stages of spiritual development in which prior states must proceed the following. How do they correspond? One challenge we have here is the Shepherd of Hermas uses very simplistic terminology that Hermas could understand, as opposed to Swedenborg who was very exact in his language. I will try to briefly summarize. The first stage of development corresponds with the first virtue of Hermas, FAITH. As knowledge is the first step, more specifically faith of knowledge, this is why I think the Greek word episteme used to describe the sixth state is a higher level concept. In Heavenly Arcana, Swedenborg was shown how the second day of creation, as well as the flood of Noah, correspond with a state of temptation. Once one receives and accepts faith from knowledge, one then should advance to the second stage, which is that of temptation. What happens is that once one accepts the truth, there will be areas of one's life that do not correspond to the truth. There will be sins and evils within us that need to be purged. They can only be purged by going through a process of temptation. The evils and falsities that flood the mind are literally compared to a flood of waters. Compare this second state to the second virtue of Hermas: TEMPERANCE, SELF-CONTROL, CONTINENCE. The parallel is unmistakable. It is through temptation that one practices self control and restraint. Thus although the terminology is different, one can argue that the virtue of simplicity is indeed the same as works of charity through self effort. Protestants, by the way, will have a hard time with this due to their false theology due to misunderstanding that Paul was talking about the "works" of the Jewish rituals (see A New Perspective on Paul and the New Church Perspective on Paul). In the fourth stage of spiritual development, one receives internal spiritual enlightenment. Once one clears oneself of evil and falsity, one then makes room for the Divine influx of the Holy Spirit to flow in. It first comes in as spiritual enlightenment. One actually begins to enjoy living the Christian life, as one experiences an inner happiness and peace. In the Shepherd of Hermas, instead of talking about an internal influx of spiritual enlightenment, the corresponding virtue is mentioned - GUILELESSNESS. In other words, there are no lies or deceptions in one's words and deeds, one is completely honest. Here we see a complex spiritual concept is described in simple terms for a former Roman slave to understand. "Clothe yourself with reverence in which there is no evil, which gives no stumbling-block, but in which is all smoothness and cheerfulness. Do good, and from the fruit of your labors which God gives you, give to all those in need"
In the Shepherd of Hermas it is a bit hard to distinguish between the virtue of simplicity and one of reverence, as this is the only passage where there is additional explanation given as to the meaning of the virtue. Thus we see there is an exact correspondence between the sixth virtue in the vision of Hermas, and the sixth state of spiritual development as described from the visions of Swedenborg. In the first six stages of spiritual development, one is in constant combat against evils and falsities, at difference levels. These six stages are of the understanding. In the seventh state, love of the will becomes dominant over the truth of the understanding. One cares more about love and its affections, about doing more so than understanding. This Swedenborg calls the celestial state, which markedly differs from the former state, and is described in detail in the story of the Garden of Eden. Here the parallel is obvious, for the seventh virtue of Hermas is LOVE. PROOF OF A VISIONARY EXPERIENCE? "The "Shepherd" was first printed in Latin by Faber Stapulensis (Lefèvre d'Etaples) in "Liber trium virorum et trium spiritualium virginum" (Paris, 1513); better edition by Fell (Oxford, 1685), and especially by Hilgenfeld (Leipzig, 1873), and von Gebhardt (Leipzig, 1877)." So, there is a possibility Swedenborg could have read the Shepherd of Hermas if he frequented the proper library. But still it was an obscure work, and he was told in his waking visions to avoid theological works so that the spiritual information could come through uninfluenced. Different terminology is used. I consider this unlikely, as his work does contain evidence he was obtaining information from a spiritual source - such as he knew the contents of the book of Jasher, and he knew that Genesis chapters 1-11 was composed from earlier sources. This he had from angels, which was later confirmed by archaeologists of the 19th century, long after Swedenborg had died. Moreover, his clairvoyant experiences were well known and documented by his contemporaries. Thus, we see we have an element of "proof" that both Swedenborg author of the Shepherd of Hermas received visions. But again, it is important to examine and read the works themselves, and ask oneself do they describe the truth or not? That is the ultimate test. 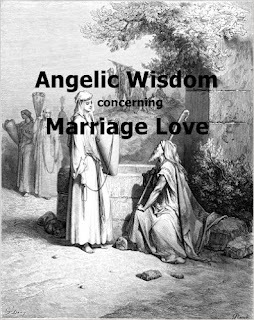 I want to point out one last parallel between the Shepherd of Hermas and Swedenborg's last work Angelic Wisdom concerning Marriage Love. We covered in detail the seven virtues of the seven women of the tower in the third vision of Hermas. Both warn against sexual immorality. Here, I thought was something funny - Swedenborg, in one of his waking visions, encountered seven female angels by a fountain in heaven, to discuss the merits of marriage love. "I was once looking through a window toward the east and saw seven wives sitting on a bank of roses by a certain fountain, drinking of the water. I looked intently to see what they were doing, and the intentness of my gaze affected them. Whereupon one of them by nod invited me, and I left the house and speedily went to them. When I arrived I asked politely from whence they came. "And I read these words:—"Tell the inhabitants of the earth with whom you dwell that there is a true marriage love, the delights of which are myriads—scarcely any of which does the world yet know, but it will know when the church espouses herself to her Lord and marries." And then I asked:—"Why did the boy call you Virgins of the Fountain?" They replied:—"We are called virgins when we are sitting at this fountain because we are affections for the truths of our husbands' wisdom, and an affection for truth is called a virgin. 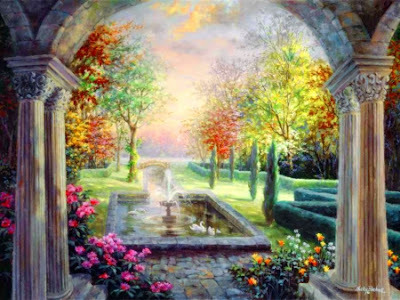 A fountain also signifies truth of wisdom, and the bank of roses whereon we are sitting signifies its delights." And we thus come full circle back to the seven female angels of the vision of Hermas, the sixth of which is intelligence, and the seventh of which represents love. It is thus fitting that the final work of Swedenborg neatly finishes off the vision of of Hermas at the beginning of the Christian era. Perhaps not a coincidence at all.